UWELL Crown 4/IV 200W TC Kit is the latest product with exquisite craftsmanship design and fashionable looking, which powered by dual 18650 batteries and can fire up to 200W maximum output. 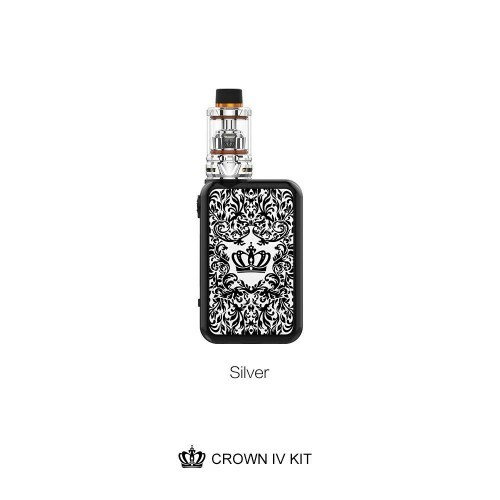 Equipped with the new generation of UWELL circuit board is more dust and corrosion resistant, the Crown 4/IV Kit support regular power mode and temperature control mode that can extend span life and protection. There is a fire button on the mod gives a sleek look and provides improved gripping. 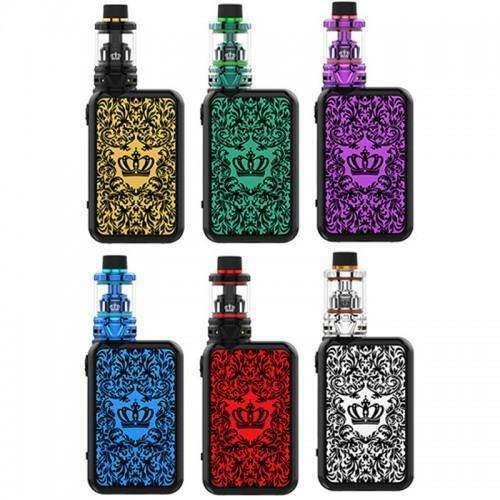 Holds up 6ml e-juice capacity, UWELL Crown 4/IV Tank with patented self-cleaning technology can absorb the e-juice and reduce leakage. The Crown IV Sub Ohm Tank utilizes UN1 Coil with 0.25ohm rated at 55W to 65W, and the UN2 Coil 0.23ohm with an output range 60W to 70W. What’s more, it compatible with dual SS904L coil for you option. Top-filling design and and adjustable bottom airflow system makes it is easy to filling. Using Pro-FOCS Flavor Testing Technology bring great vaping experience with the satisfying flavor. VOOPOO DRAG 157W TC BOX:VOOPOO DRAG Mod is 157 watts amazing power device which is compatible with ..
UWELL NUNCHAKU RDA 80W STARTER KITUwell Nunchaku RDA 80w Starter Kit is a new generation of tube mod.. I M FRUITYFLAVOURSMOJITO ICEBERRY ATTACKPEACH ORANGECITRUS APPLEBLACK CURRANTCHERRY APPLESTRAWBERRY ..